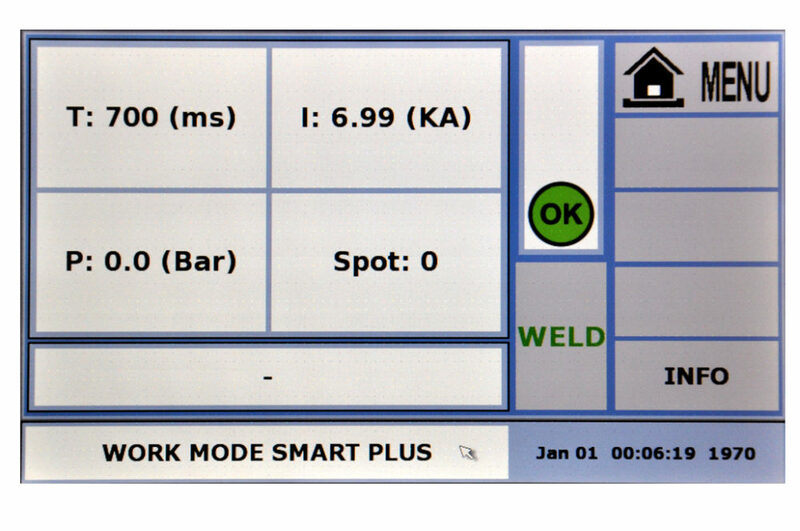 Smart Technology as developed by TECNA is a sophisticated software that allows the welder to perform a weld with little or no operator input. 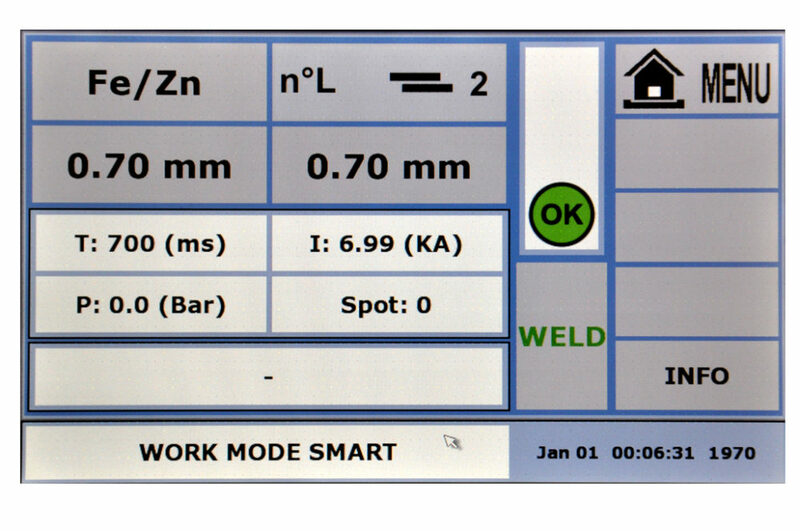 TECNA supplies the welder model 3664 with two levels of SMART welding modes. In fully automatic SMART-Plus mode the operator is not required to input any information. The welder determines automatically the thickness and type of steel to be welded, and sets all the welding parameters including output power, weld time, and squeeze force. The weld and weld settings are monitored and adjusted 2000 times per second producing a factory quality weld. • Fully water-cooled, including transformer, welding gun, arms and electrodes caps. • Output power 14,000 amps. • Squeeze force 1350 lbs. max. Use the USB Port and Flash drive to easily upgrade programs and software. 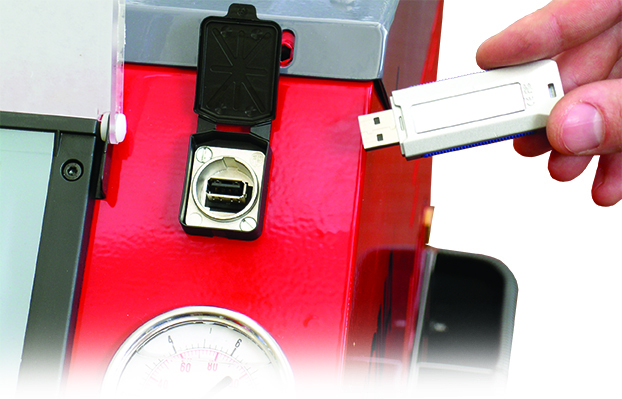 Use the USB port to download and store all weld records on any job. 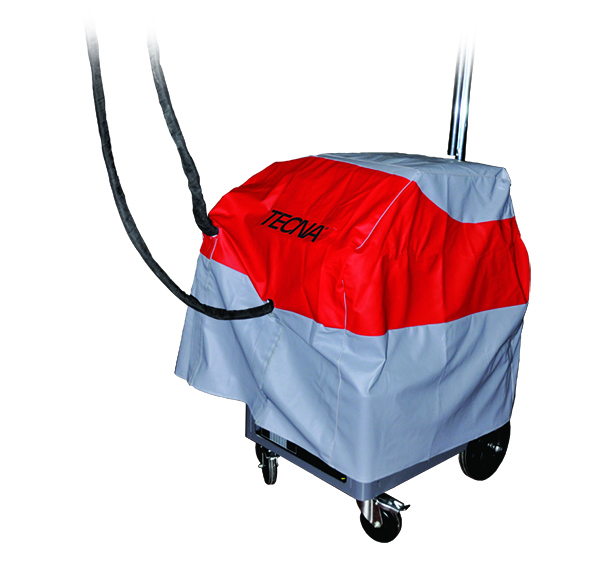 TECNA is the only welder brand on the market that manufactures welders for the assembly line as well as for the collision repair shop. TECNA is in a unique position to transfer the technology developed for and on the assembly line to the collision repair environment. 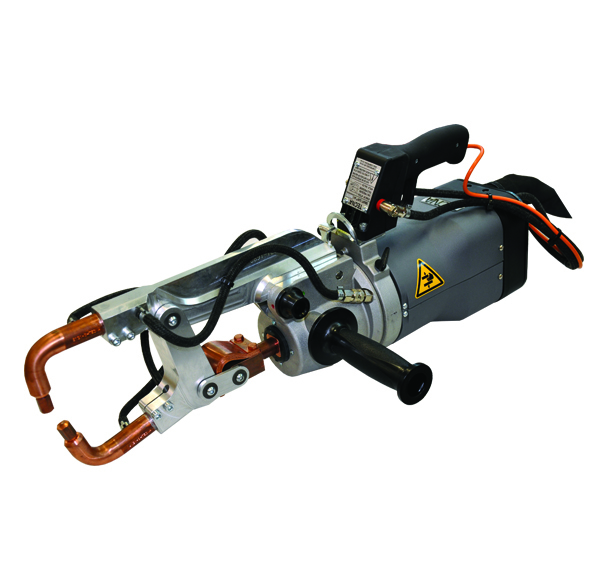 In fact, the TECNA 3664P Smart Plus welder is an end of assembly line welder. REPAIR IT LIKE THEY BUILT IT! In SMART mode the welder requires the operator to input some information such as type of steel, number of layers and thickness. The welder compares the information entered by the operator to what it senses. If the information is marginally different, the welder will override the information entered by the operator and performs the weld. 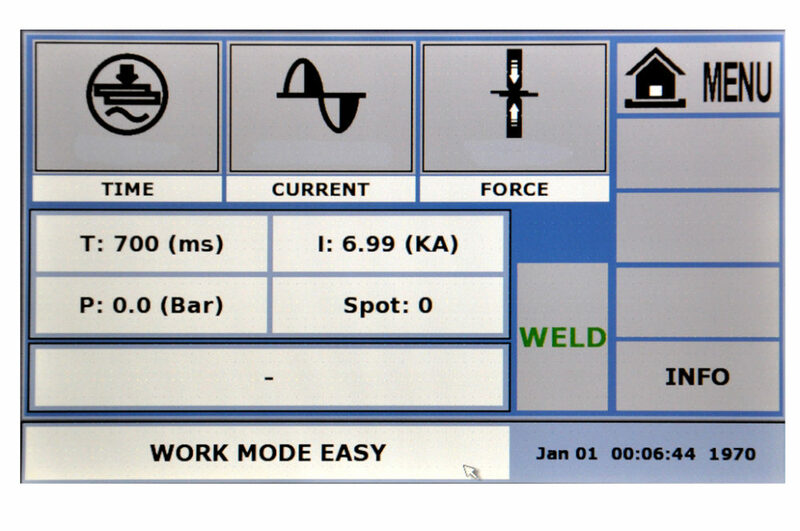 If the information entered by the operator is too different from what the welder senses, the welder will not perform the weld and it will alert the operator with a red light on the touch screen. the welder requires the operator to input some information such as type of steel, number of layers and thickness. The welder compares the information entered by the operator to what it senses. If the information is marginally different, the welder will override the information entered by the operator and performs the weld. 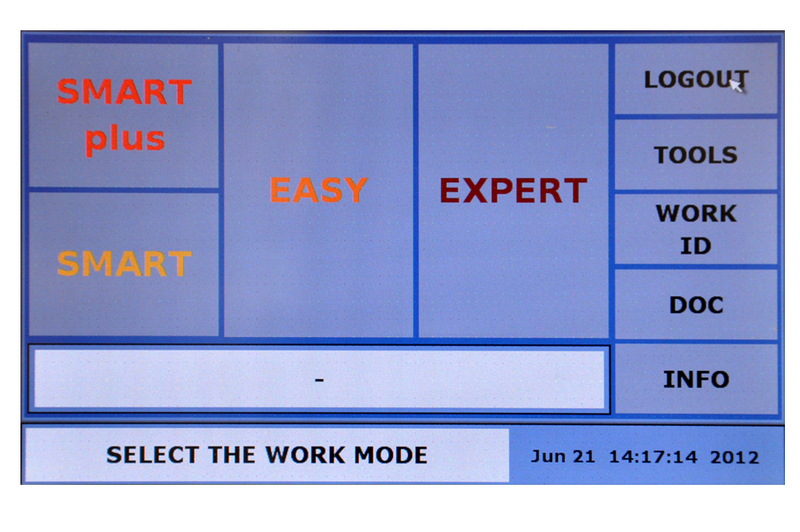 If the information entered by the operator is too different from what the welder senses, the welder will not perform the weld and it will alert the operator with a red light on the touch screen. 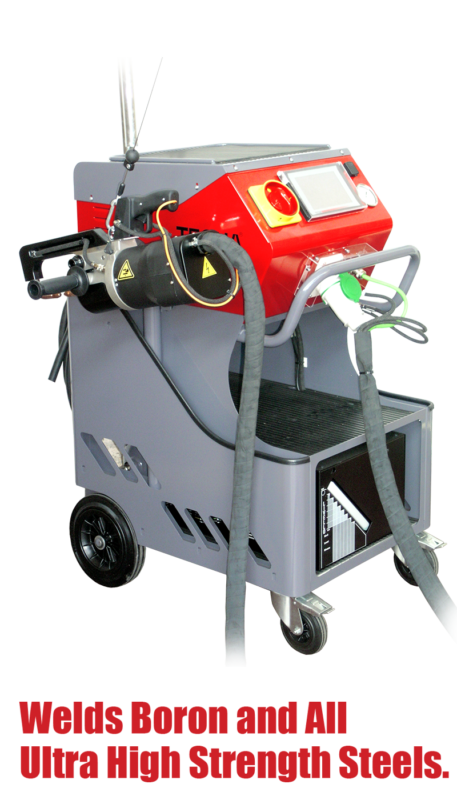 • Welding system seamlessly sets welding parameters WITHOUT ANY operator input. 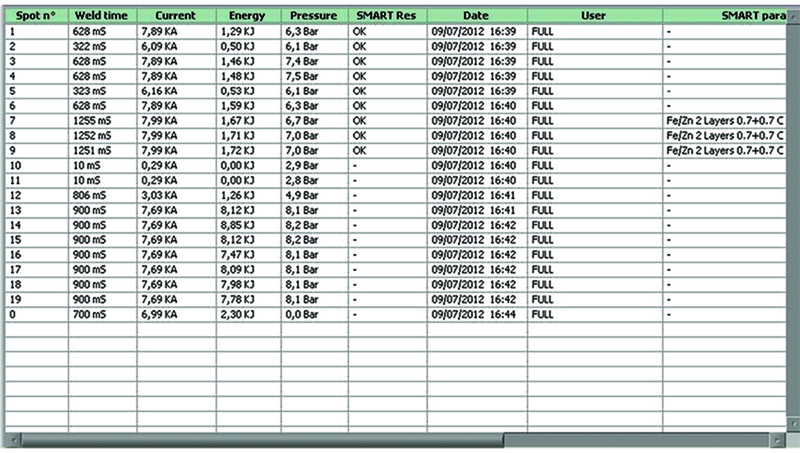 SMART-Plus detects material type. SMART-Plus detects thickness of material. 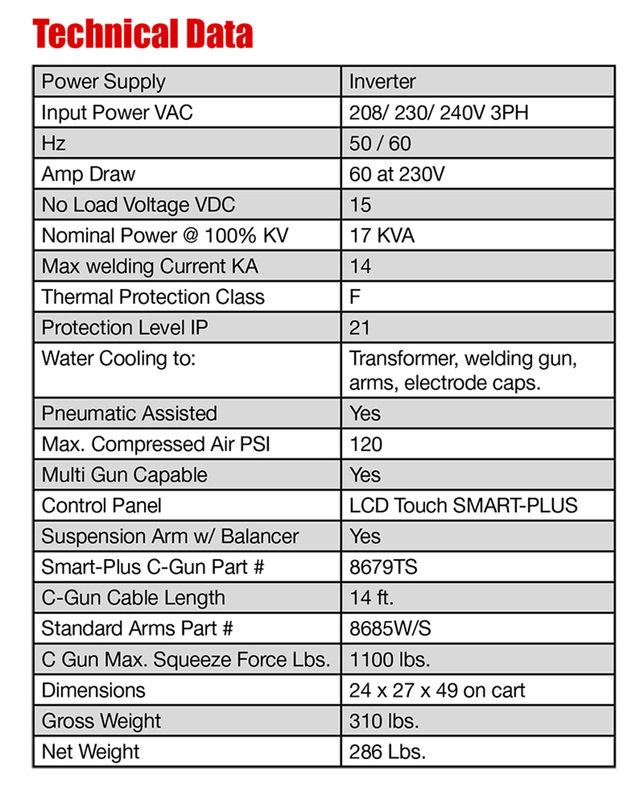 • SMART-Plus recognizes connected gun. • SMART-Plus C-Trans Gun 8679TS with built in sensors works effortlessly with SMART-Plus software. • Operator enters material information such as material type, thickness, and number of layers. it can adjust as needed or interrupt the weld and inform the user. • The SMART control recalibrates itself as required resetting the baseline to adapt for changes in the shape and cleanliness of the electrode. 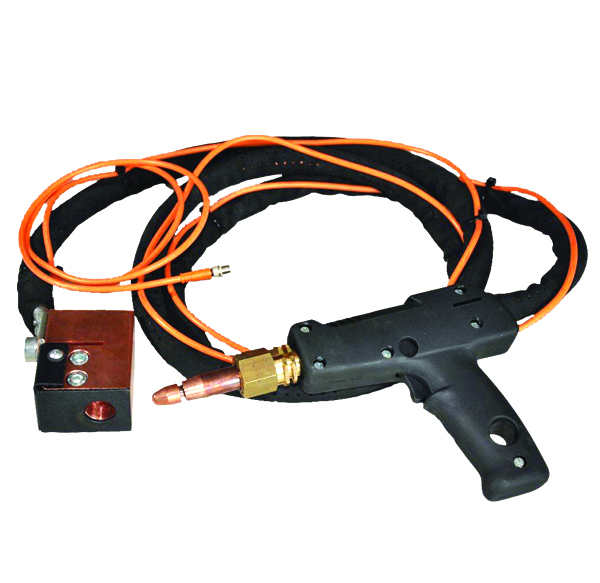 • Allows user to set current, weld duration and squeeze force to perform weld requiring special parameters. 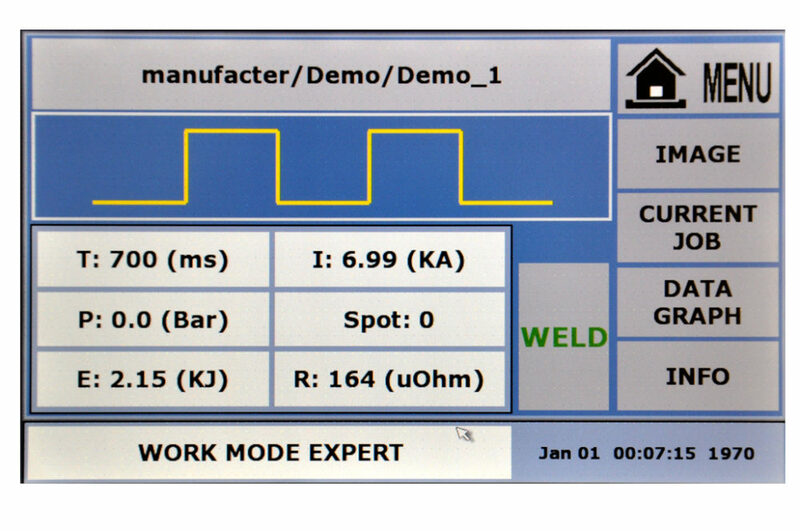 • Save your own personal weld parameters in memory. • Pre-set welding parameters by car manufacturer, model and area of car body to be welded. 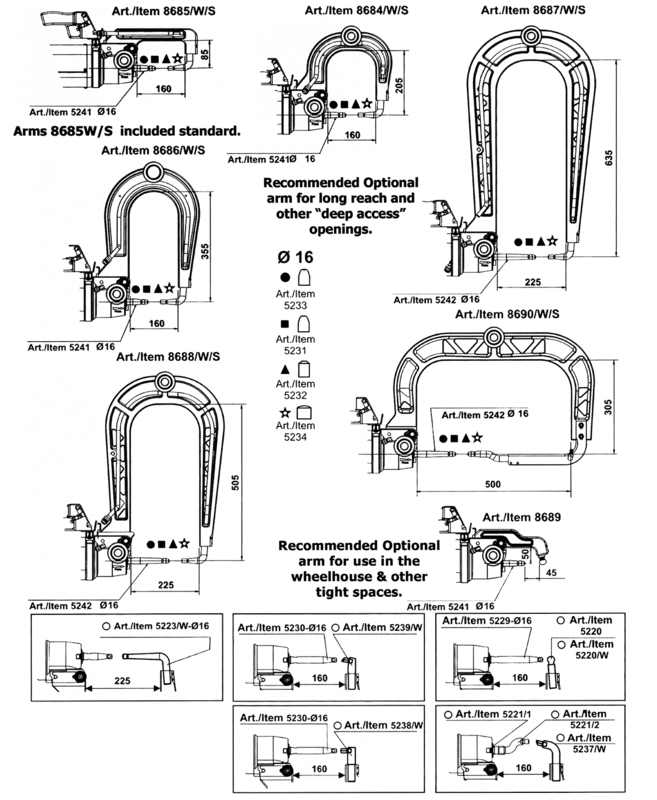 • Have easy to read red, yellow, green lights indicating the quality of each completed weld. 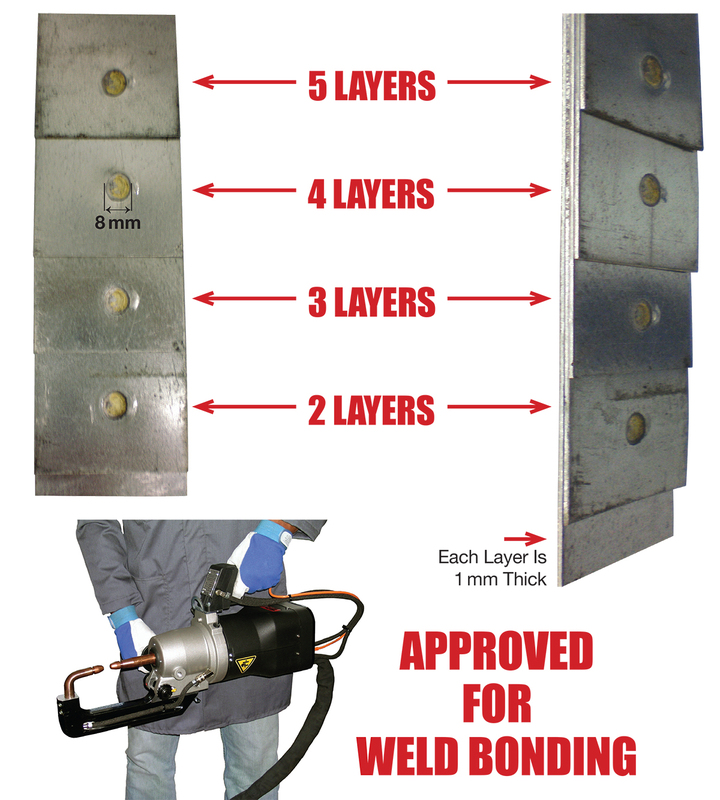 All welds were produced with the same welder settings. SMART Control adjusted automatically to compensate for the number of layers. The X-Gun Adaptor for use with Transgun 8679TS.